Retail has never been a stagnant industry. Retailers just can not afford to stand still if they want to succeed. They must adapt and innovate — or risk being left behind. In e-commerce, Google or Facebook have spent millions of $ to force us to click adverts. Who helps the brick-and-mortar stores? Can data from in-store cameras be actionable? As in Google Analytics for monitoring your webpage, also in video-analytic system for your brick-and-mortar store, there are vanity metrics and actionable metrics. Today, retailers are leveraging in-store video analytics from cameras to gain valuable insight about their customers and store operations. Video analytics do not only help to position promotions, but also help in improvising marketing strategies, measure performance of each aisle and also product placements. An effective promotion determines the success of a product and at the same time brings more sales for the store. It becomes very important to place promotions in the right place and at the right time since they only have a limited time for success. It’s what actions retailers take once they acquire the data that make the difference in business. And the more they know about the people who are coming into their store, the better they can make decisions that will allow them to take advantage of their customers’ behavior to improve the customer experience and potentially convert browsers into buyers. You will probably agree, that if a merchant is planning to change his marketing strategy or store floor plan, he should act upon actionable data which responsibly reflect situation that is demonstrably repeated in the store, not the current status or anomaly. Retail marketing manager won’t appraise to see only the current real-time status of the situation in the store from the camera. He might be not able to act properly and immediately. What he seeks is information that is relevant in long-term. What marketers seek is the information that can affect their business — the insights buried somewhere deep inside the gathered data in long-term. They want to dig in data history, mine it and find out the backgrounds for decision making to attract more future shoppers and convert them into customers. Event-based video analytics provided in real-time is outdated. One is not able to act properly upon the single real-time alarm of person lingering at the product display at the moment. When event happens and nobody in the store acts upon, the moment is gone. Frankly, this doesn’t even work for security surveillance these days and one by one they decide to go forensic analysis. It is the long-term macro view, that matter the most. Cumulative trajectory maps and heat-maps, typical shopper journey patterns, dwell time at displays, various ratios to total attendance, correlations — this makes the difference. In order to position your promotions, products or optimize marketing strategies you need to know the thriving spots in your shop, not where the one particular shopper currently is. A camera placed above the promotional display or aisle gathers super-valuable but not-easy-to read data which must be extracted into a readable form to be of use. If a customers often spend more than the specified time in front of a promotion, then you must be able to determine it from the data. This will help the merchant to understand if the promotional offer is triggering the curiosity of their customers or not. Where do people go once they’re inside? 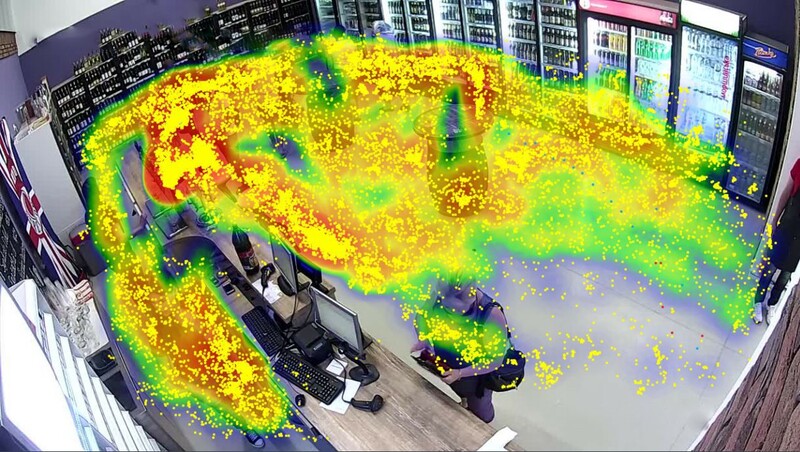 Modern solutions like GoodVision Video Insights can analyze foot traffic patterns to give retailers data on how many people were in their store, the path they travel once inside, and where they linger. This helps merchants identify patterns, peak periods, product placement maps, and popular locations, which enables them to make changes to floor layouts, displays, advertising, or staffing to better serve their customers and increase revenue. Where do the first steps of customer go when he enters the store? Do you know it? And what portion of visitors takes similar path? 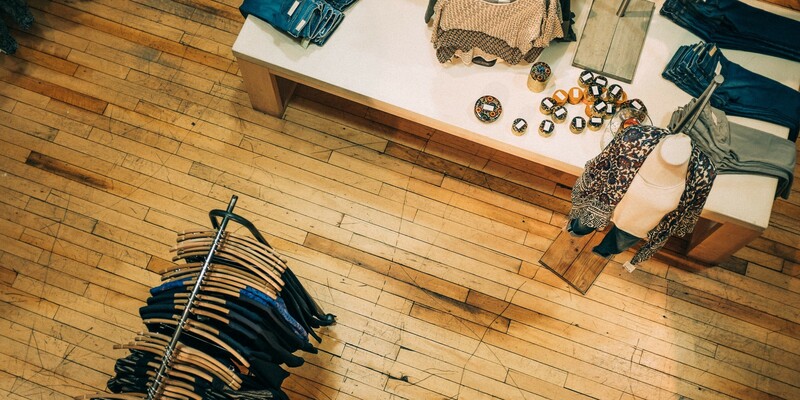 Without question, in-store camera data is changing the game in retail. Today more than ever, merchants are focusing on consumer behaviors and optimizing the in-store experience. Through artificial intelligence in video analytics, retailers are able to capture and analyze more video-based shopper data than ever before. Why is GoodVision a game-changer? GoodVision Video Insights incorporates deep learning and cloud-computing for rapid extraction of video events from big amounts of camera recordings. 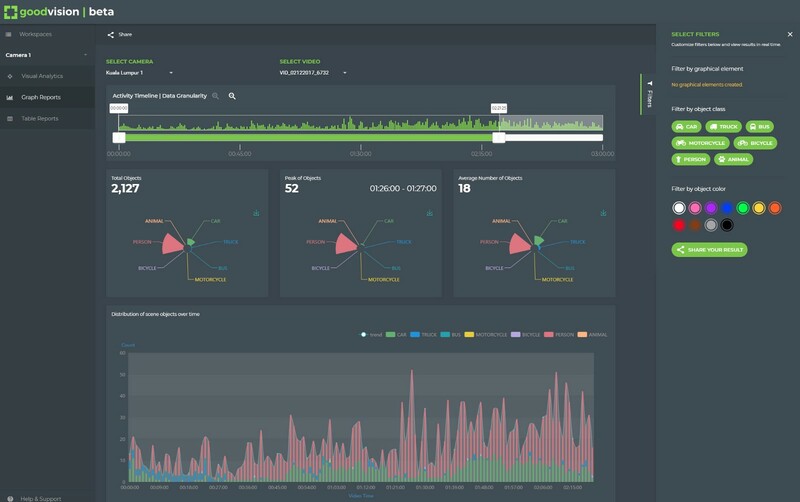 It provides reusable source of relevant analytic data for store decision making and a visual analytic tool to get the actionable information out of it. Video extraction is complete, anonymous and creates a permanent database of valuable in-store events for further business intelligence. Even if number of cameras will grow exponentially in the future, extracted data by GoodVision is up to 1000-times smaller than the original video footage. You can get rid of the video right away. Only then, user performs the business intelligence, event querying, visualization and lot more. GoodVision Video Insights for Retail provides brick-and-mortar retailers the same level of shopper insights as those used by the most sophisticated e-commerce sites.